Titan Timber Flooring is a Perth-based flooring retailer with one of the biggest flooring showrooms in WA. 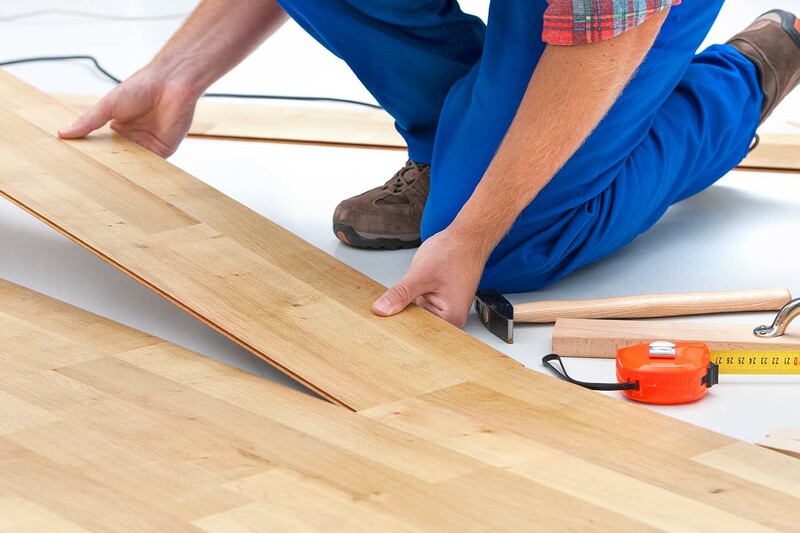 We supply high quality Australian and European flooring products to residential and commercial builders, renovators, and architects, as well as homeowners and DIY renovators. Our Osborne Park showroom features a huge selection of timbers and finishes, including over 50 different species of raw solid timber. We offer an extensive range of flooring options including: solid timber floors, engineered timber floors, pre-finished timber floors, compressed bamboo floors, and laminate floors. At Titan Timber Flooring, we understand that there are many factors to consider when deciding on what type of flooring to choose for your new home, renovation, or business. That is why we take great pride, not only in our vast range of flooring options, but also our extensive product knowledge and industry experience. We can help you make the best decision – whether you’re planning to install solid timber floors throughout your entire home or looking for a cheap laminate alternative for a first home or investment property. We stock solid timber floors, engineered floors, pre-finished timber floors, underlays, compressed bamboo floors, and laminate floors from many Australian and European brands, including Quick-Step, ReadyFlor, Joy Floors, Inovar, Boral, Premium Floors, and more. Our Osborne Park showroom features a coffee area and dedicated play section for children, so you can browse at your leisure and take your time as you compare the many flooring options available. We also provide a professional installation service, so you can rest assured your new floor will be installed with precision and care. At Titan Timber Flooring, our focus is on delivering high quality timber, bamboo, and laminate floors at competitive prices to all our customers. If you’re looking for a friendly and reliable flooring store in Perth, visit our Osborne Park showroom today. Our experienced team can help you choose the best product to suit your needs, and your budget. There are many reasons to choose a timber floor – you may simply like the look of it or want to improve the value of your home, or you may have asthma or allergy sufferers in your family who would benefit from the installation of a timber floor. Solid timber flooring is the natural option if you want a very tough and long-lasting floor. We offer hardwood floors in many different species of timber, including Jarrah, Blackbutt, Karri, and Marri. Our timber floors are sourced from sustainable forests so each tree that is chopped down is replaced. With a little maintenance and good care, your solid timber floor should last a lifetime. Titan Timber Flooring supplies a large range of native Australian pre-finished timber flooring options. With pre-finished solid timber flooring there is no dust and no smelly coatings, and you can walk on your new floor within hours of it being installed. The timber is milled with a secret nail profile so no nails are visible on the final floor. The pre-finished timber can be glued to any dry, level, and stable surface, but it cannot be floated on an underlay. The satin finish is hard and durable. As the name suggests, engineered timber floors are constructed with a hardwood layer and a multiple of other woods compressed together. Most solid floors have a tendency to shrink as well as expand because of room humidity changes and moisture in the subfloor. Engineered wood flooring can prevent such problems from occurring because of the unique construction method. Enjoy the look of quality timber with a tough finish that stays beautiful year after year. Laminate flooring offers the option of a stunning wood floor at a cheaper price. Titan Timber Flooring has a huge selection of laminate floors available to suit every style, and budget. We have laminate floors of various grades for all types of installations from homes to offices and showrooms. Laminate flooring is not only durable; it is also scuff, stain, scratch, and burn resistant for complete peace of mind. Available in a wide range of colours and designs, laminate flooring offers great value for money. Titan Timber Flooring specialises in bamboo flooring in Perth. Bamboo is an excellent renewable resource, which can be harvested every five years. As a result, no forests are destroyed to make bamboo flooring products. Bamboo is also termite resistant. Our bamboo flooring options are all pre-finished, which means they require no sanding or polishing. 90mm boards can be stuck direct onto concrete, while our wide Bamboo floorboards (130+mm) can be floated on acoustic underlay. Titan Timber Flooring is a member of the Australian Timber Flooring Association. We are located at 2/37 Hutton Street, Osborne Park. For further information, email info@titanfloors.com.au or phone (08) 9204 2700.